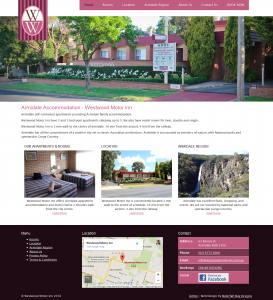 Armidale Web Design - In 2019 Waterfall Way Designs can help your Armidale business online. Below is a list of clients we have worked with in Armidale. Please contact us for an obligation free discussion about how we can help your business. We pride ourselves on providing an effective online presence for you with ongoing support. 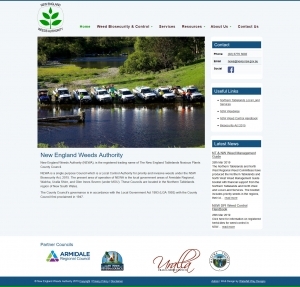 New England Weeds Authority is a Local Control Authority for priority and invasive weeds. NEWA operates in the local government areas of Armidale Regional, Walcha, Uralla Shire, and Glen Innes Severn. Website to promote NEWA's services, extensive resources, and compliance requirements. We originally did a website for Wayne back in 2009, he was our third customer. We did another website for him in 2015 and this latest one in 2019. We keep doing these updates so that Wayne's business is represented well online, keeping up with changes in technology and Google and his changing business. 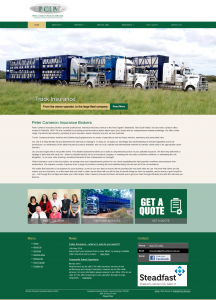 Peter Cameron Insurance specialise in Trucks, Commercial Motor Vehicles and Earthmoving Equipment. They have been in business for over 24 years servicing the New England region, throughout NSW and Australia wide. They signed up to our managed website and online marketing package. Nicole was one of our original clients. We did her first website back in early 2010. It has served her well for these past 8 years. But with the rise of mobile use and changes in technology we made a new website for her. Ensuring her website continues to perform in Google searches and it is easier for her to update. Marg and Terry got their first website through us back in 2012. This new website is mobile friendly, secured with an SSL certificate and easy to update. Using the latest technology this website will now serve them well in Google search for the next 6 years. Carson's Car Care are a family owned Armidale mechanics that have been serving the community for over 40 years. SJF Kitchens is a professional cabinetmaker business specialising in quality kitchens and interiors. 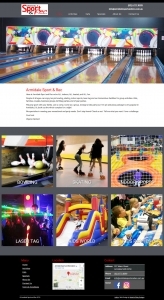 They are a family owned and operated business located in Armidale and servicing the New England region. We did their original website back in early 2011. In 2018 they got a new website including ongoing monthly support with online marketing. 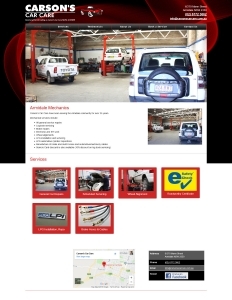 Armidale Mechanic who has been operating locally for over 30 years. 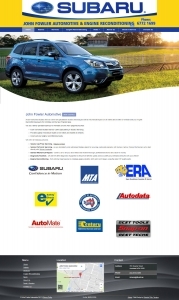 Armidales only authorised Subaru Agent for servicing, parts and warranty. We did Tim's original website in 2009. In 2017 with the increase in use of mobile devices, we have designed an easy to use, mobile friendly website for him. Part of the ongoing improvements they make to their business to meet the needs of their customers. Able Bodies is a massage & acupuncture business in Armidale. They service the Armidale, Guyra and Glen Innes area. They also provide a range of wellness services. We did Michael's original website in early 2011. In 2017 we showed him how many of his visitors were on mobile devices. He approved a new mobile friendly website integrated with his booking system to make it easier for his customers. 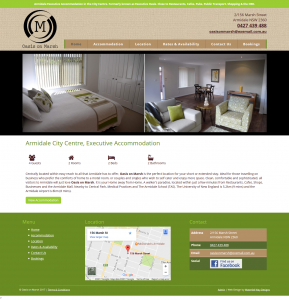 Oasis on Marsh is Executive Accommodation in the heart of Armidale. It is a 2 bedroom, 2 bathroom house with all the mod-cons. It is a simple, clean, easy to use website. We custom made a booking enquiry form. Tracey can control what rooms are available on what dates and people can request a booking by submitting their details. Jason & Naomi had us do a website for them back in 2013. We have recently completed a full online shop for them in 2017. This is a new mobile friendly website using the latest technology. They also signed up to our ongoing monthly support to help with Facebook, newsletters, and other online marketing. The Overseer Saddlery custom make saddles and saddlery products to cater for the Australian market in many horse sports as well as station work and pleasure riding. 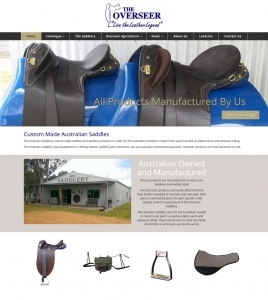 The Overseer Saddlery was established in 1990 by Master Saddler Jason Simmons, we are Australian owned and operated. Overseer products are manufactured on site. 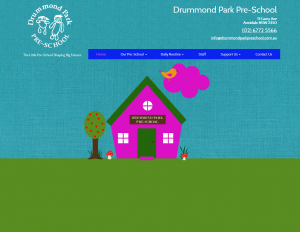 Drummond Park is a community based pre-school committed to providing quality, affordable education from children aged 3-5 years offering a limit of 18 spaces per day. We first worked with Melinda back in 2009. We upgraded her website with a fresh new look, google maps and a contact form. Fast forward to 2016 and this time we did another fresh new look, mobile responsive design, integrated booking button and Facebook support. Technology and business continues to evolve. Armidale accommodation from 2-3 bedroom apartments for families and motel rooms. Comfortable, convenient and affordable. 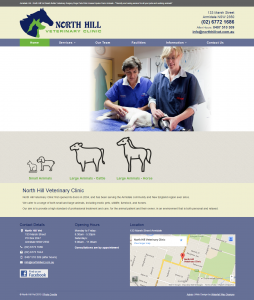 North Hill Veterinary Clinic first opened its doors in 2004, and has been serving the Armidale community and New England region ever since. We built Sarah and Michael's first website back in 2012. This a new mobile friendly version and we hope to fill up the information section with lots of helpful articles. Rick, Julie and now Sam Gates are proud to be the 3rd generation of the Gates family to be seedstock producers in the New England area of the Northern Tablelands. 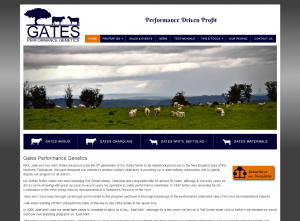 Website to provide up to date industry information and to openly display their breeding program to all visitors. Rob is an experienced Musculoskeletal Physiotherapist with a growing practice near the Hospital in Armidale. 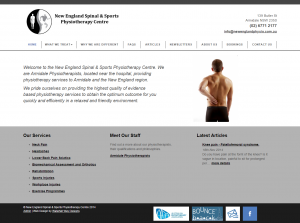 Website to provide Physiotherapy information for new and existing clients. Robs first website with us was in 2010. This one in 2014 takes advantage of changes in technology like advanced spam protection, mobile and tablet phone friendly, an easier to use CMS. It also is updated to reflect the changing needs of Robs business. 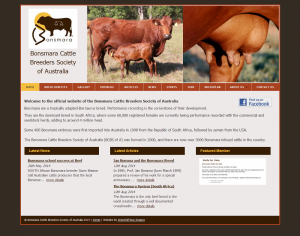 The Bonsmara Cattle Breeders Society of Australia (BCBS of A) was formed in 2000. Bonsmara are a tropically adapted Bos taurus breed. Performance recording is the cornerstone of their development. They are the dominant breed in South Africa, where some 60,000 registered females are currently being performance recorded with the commercial and seedstock herds, adding to around 4 million head. Wakefield Charolais breeds purebred Charolais, Angus and Charolais x Shorthorn bulls in conjunction with a commercially based breeding and fattening operation. This year we are celebrating 154 years of continuous cattle production. The property has been held by six generations of the Frizell family and has been a mainly cattle grazing operation since the 1860s. We hosted an older website for Jenny & Greg and this website marks a whole new design for them, incorporating their new logo. 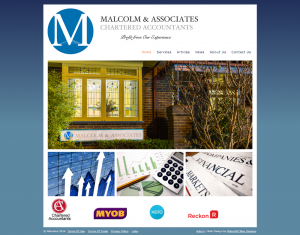 Malcolm & Associates prides itself on providing sound and objective business and taxation advice based on comprehensive knowledge and many years of professional experience. 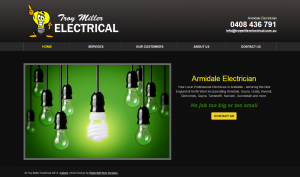 Troy Miller Electrical is a local family owned and operated business with over 20 years of experience in Domestic, Commercial and Industrial electrical. 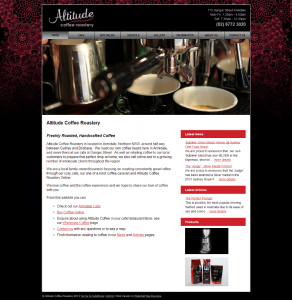 Beautiful owner operated Coffee shop in Armidale that blends and roasts their own beans. 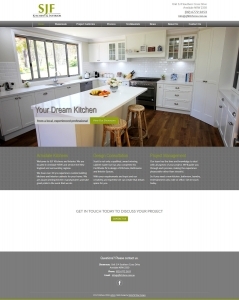 This is the second website we have built for Darryl and Rachel. The first was in July of 2009. They wanted to keep up with their customers online needs in late 2013. The Australian Gelbvieh Association is a group of breeders committed to promoting Gelbviehs in Australia. Gelbvieh cattle are well known for their quiet and inquistive temperament and are unique in the industry with their ability to excel in so many of the major traits. Website to support and inform existing members and attract new ones to the breed. New England Wines is an industry association designed to support the New England Wine growers. The New England offers a NEW Discovery which integrates top-quality wine, regional produce, exceptional experiences, and warm country hospitality with a progressive yet relaxed approach. 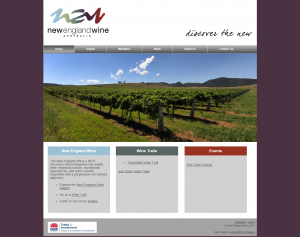 Website to promote the region with wine trails, news and upcoming events, stockists, and member details. 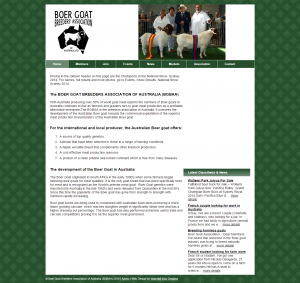 The Boer Goat Breeders Association of Australia oversees the development of the Australian Boer goat towards the commercial exploitation of the superior meat production characteristics of the Australian Boer goat. Website to showcase the breed and promote news and events for the members. Custom built members area to allow all members to contribute to the website. 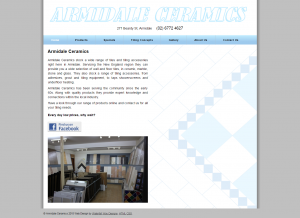 Armidale Ceramics is a second generation Armidale business that has been serving the Armidale community since the early 1960s. They stock a wide selection of wall and floor tiles, in ceramic, marble, stone and glass. They also stock a range of tiling accessories, from adhesives, grout and tiling equipment, to taps showerscreens and underfloor heating. 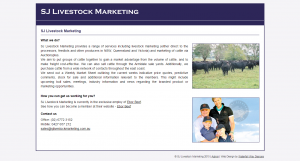 S J Livestock is a livestock management company that provides farmers with their best options for livestock sale. Each week they send out a market report and work with their clients to determine the best place to send animals ready for sale. This website is custom built piece of business management software. We worked closely with Sam and Jules to automate and store their day to day business activities, saving time and ensuring quality. 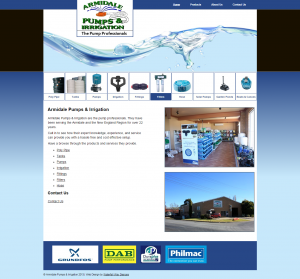 The Pump Professionals, serving the Armidale and New England Region for over 22 years. 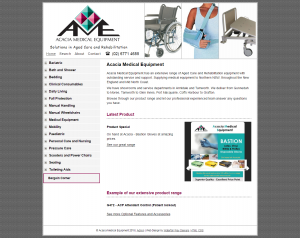 Brochure Website detailing products and services, with email setup and contact form. Beautiful Armidale childcare centre. Attentive, experienced staff and great outdoor areas. 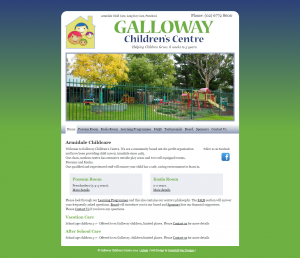 Website to showcase the centre and provide information to parents. Acacia Medical Equipment provides Solutions in Aged Care and Rehabilitation with outstanding service and over 1200 products. The objective of this website was to put their print catalogue online. In this format, acacia can update their product catalogue immediately and everyone has the latest version. In 2011 we custom built a quote management system for them, to process orders from the website. Gorgeous 1917 Country House, fully renovated, luxuriously appointed, set in beautiful gardens in the heart of Armidale. 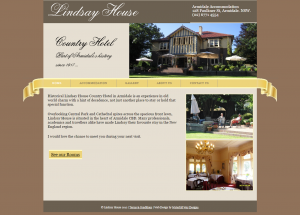 Website to promote this hidden gem, great photos, easy to use booking request. We origionally worked with Neil and Cirila in 2009. We worked with the new owners, The Hetheringtons in 2011.